Hello, TGIF. What a wonderful feeling! 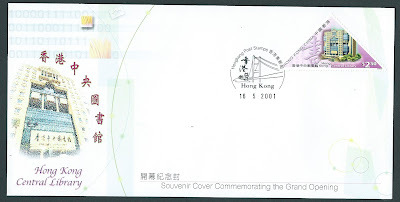 Just one more Hong Kong cover tonight. 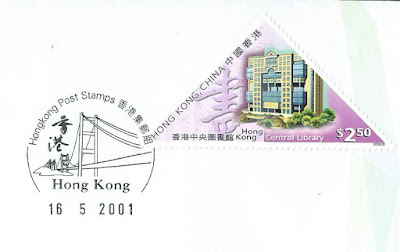 I think this is interesting because apart from this issue I am not aware of any other stamps issued by Hong Kong that are triangular. Maybe readers can educate me. Anyway this is also interesting (to me anyway) because it is from the Museums and Libraries issue of 2000 yet it is cancelled 2001. As I do not have issue details I can only assume this value was issued some 14 months after the initial issue in March 2000. Forgive my ignorance. 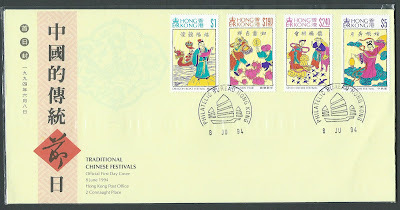 Tonight a lovely FDC I picked up last weekend at the Stamp exhibition here in Hong Kong. Rather nice I think. 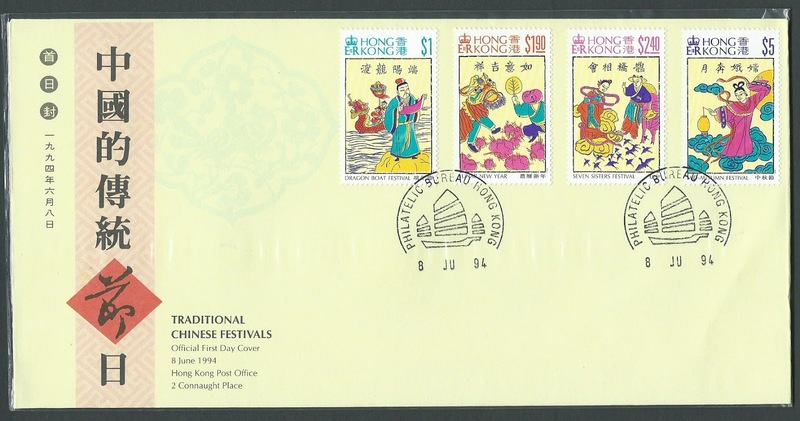 Issued in June 1994 showing 4 major festivals we celebrate here in Hong Kong. Hi, hope you enjoy seeing this. 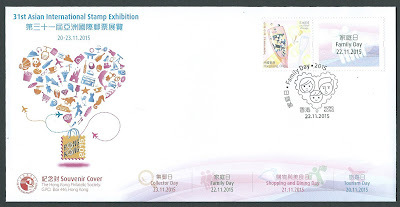 A cover I found at the Stamp Exhibition here in Hong Kong last weekend. First time I have seen these. Nice pick up I thought especially as it has no rust on it as so many older covers do. 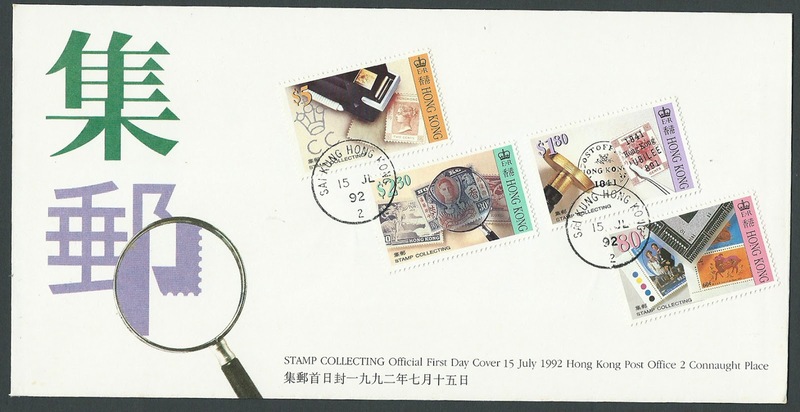 What is really interesting though, look carefully at what the stamps show. A perforation gauge, a pair of tweezers, a magnifying glass and a watermark detector. I am giving away the first three in my Christmas Crossword competition. I will have to search for watermark detectors next to add to the cddstamps line of products!!! And, the first winner will now get this cover as an additional prize. With just 31 days to Christmas cddstamps is offering a few Christmas present opportunities to all customers. and, as a special, only to readers of this blog, the above will be included to the first order received, it is from the 31st Asian International Stamp Exhibition and will be sent to blog reader customer placing the first order. Just send me an email cddstamps@gmail.com after you make your order and tell me you read about the special on the blog. No matter how big or small your order from the cddstamps stores at Bidstart here (pay by Paypal) or Stanley Gibbons Marketplace here (pay by Credit Card) you will receive a Christmas gift included with your order. Treat yourself for Christmas from the cddstamps stores. Fill a few gaps in your collection at competitive prices with the quality you expect. cddstamps range of GB and many British Commonwealth country issues has really increased over the past months. A few notable additions to the stock is a good range of Edward VII, GV, GV1 and pre 1970 QEII issues from Australia, Barbados, British East Africa, Ceylon, Cyprus, Canada, Fiji, Hong Kong, KUT, New Zealand and the Rhodesia’s. You will also find many perforation, watermark and other varieties. Just the examples that maybe gaps in your collection. 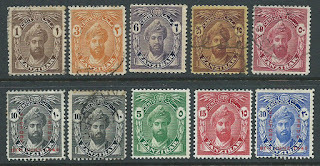 All listed by SG number. 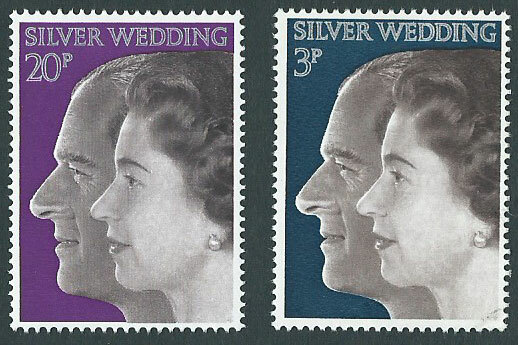 Our GB stock also includes plenty of QEII material, including Edward VII through to modern QEII Commemoratives, Machins, Security Machins, and many watermark variations. cdddstamps appreciates there are many quality sellers to chose from but please try us just once and see for yourself why we are proud of the fact we get so many repeat customers. We aim to mail orders with 24 hours, always provide quality packing and always identify the stamps you buy. Hi, hope you all had a lovely weekend. 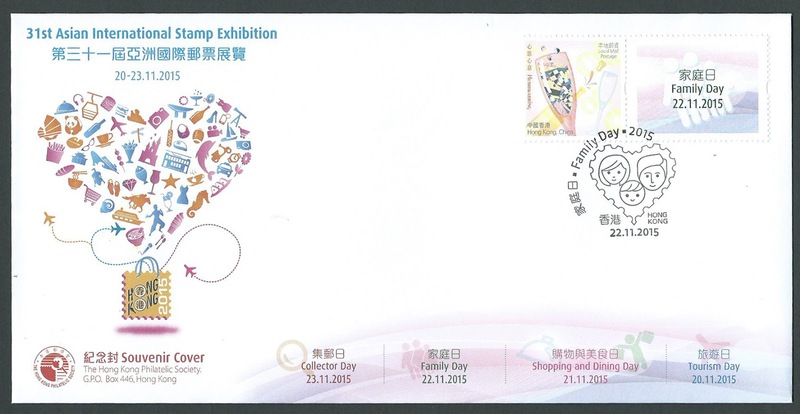 I certainly did as I enjoyed going to the 31st Asian International Stamp exhibition here in Hong Kong. I got this, as well as the Union Flag Collectors Strip. I really like this one. I think Royal Mail have done a nice design with this one. Both were printed off machines 8 and 9. I have a spare set of both if anyone wants to add them to their collection. email me for details at cddstamps@gmail.com. First in first served. I also have a few extra treats I bought and some I will use as giveaways over the coming weeks as Christmas present to readers. Hello, I was sorting out the study today and came across these in Presentation Pack 46, the Souvenir Book. I have both a Mint Unhinged set and a Souvenir Book with the stamps. The Book has a few marks but the stamps are in good MUH condition. If anyone would like these just email me at cddstamps@gmail.com. First email will get the Booklet, cat £4.00 and the second will get the two stamps above Cat for the set at £1.50. 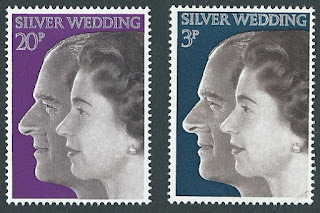 Issue on November 20th 1972 to mark the 25th Wedding Anniversary In a few days time that will be the 68th Wedding Anniversary. PS don't forget the Christmas Crossword Competition. Entries already arriving so I know it is not that difficult. 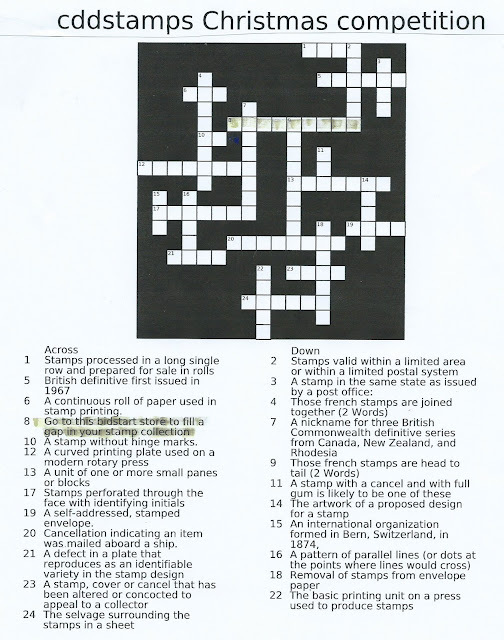 See previous post for details and the Crossword, or write to me and I will send you a copy of it. Seems the images did not take last night. Very strange. I thought they were there. So lets try again with the Crossword. I know it looks small but you should be able to enlarge by pressing Ctrl and + together, or print it, or just email me at cddstamps@gmail.com for a copy. Great prizes.. I even found older nice GB presentation packs that I will add to the winners prize. More details in last nights post. It is a Christmas present prize after all. I want to introduce this Christmas Special competition early, so you have time to enter. Closing date will be Saturday 5th December. That will give me time to get the CDDSTAMPS Christmas present to the winners. There will three winners. 1st prize a lovely magnifying glass (sorry I cannot include batteries - postage restrictions - you will have to add them) the same one as I use. 3rd prize – a pair of cddstamps tweezers – and yes, same as I use. Subject to how many entries I receive I will maybe add more prizes. I will be paying all postage and packing as well as donating the prizes. Please include your mailing address. No address, no winner. I do not keep addresses and anyway people do move so please do not assume I have your address. Enjoy your stamps, and please don’t forget, when you are looking to fill a few gaps in your collection please visit CDDSTAMPS at BIDSTART ​ orSTANLEY GIBBONS MARKETPLACE where I think I have a pretty useful selection of GB and British Commonwealth stamps in my stock of 16,000+ listing. Hello, well what a slow response so far to the latest competition - I set a few days ago, and I thought it was so easy. 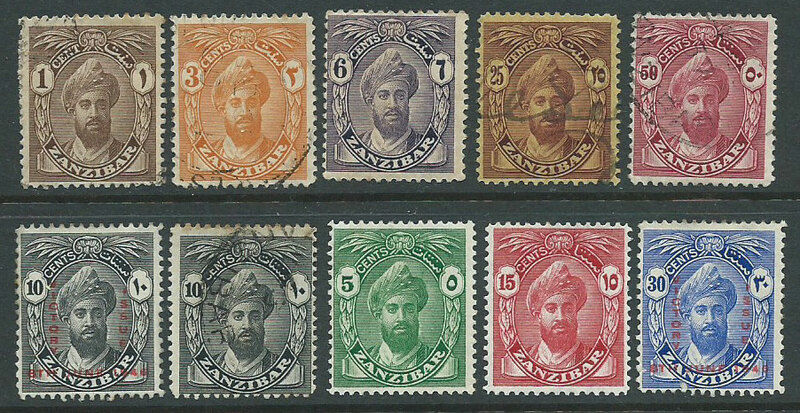 Oh well, maybe no one collects the prize stamps from Zanzibar these days. If you have entered your name is in the draw. 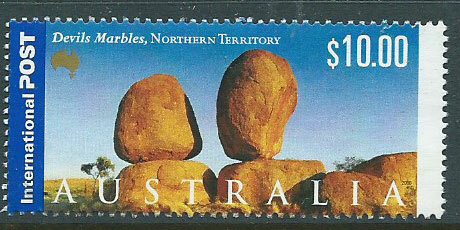 Tonight a lovely stamp from Australia, as I have been loading a few more to the Store. Nice copy I think. SG 1989 from the year 2000 Views of Australia issue. It shows the Devils Marbles in the Northern Territory. Hi, I was looking through some older stock with the intent of listing it in the cddstamps store. And yes it is all there now. 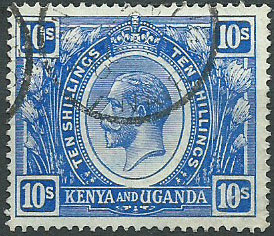 Some really useful British East Africa, Kenya, Uganda, Tanganyika. But, I was looking at a well known auction site at the same time to make sure I did not have an unrealistic view of the price I should list for sale. I am not usually far out I have to admit, but the factor that can distort the pricing is the stamp quality. SG or other catalogues are, as we all know, just a guide. 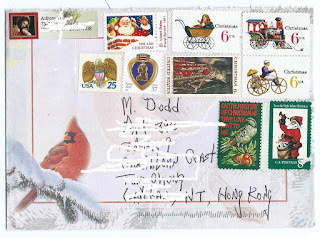 I say all this because of the two stamps I am showing. The one above is the stamp I have listed and the other is from that auction site. Mine I judged to be Fine Used. The other, when I found it on the Auction site, was listed as Very Fine used. You don’t have to be a rocket scientist to work out which is mine do you. Yes the Fine used example on the left ! The one without the missing corner perf. The price I was planning to list the stamp at was about 80% of the price being asked for the VFU copy. You work that out. Now I know I am doing the right thing and my assessment on quality is fair and reasonable. And probably pretty mush spot on. And, my pricing is fair yet competitive given the quality factor. Anyway, moral of the story is to tell you to really understand stamp quality for yourself and not blindly rely on the description placed in the auction site, or my store for that matter but I hope you can feel a sense of confidence with me. Stanley Gibbons provide a very good statement of quality in their catalogues which I encourage all new collectors to read, and more experienced collectors if only just to remind ourselves. You can read it in the sectioned titled “the importance of condition” and then the “condition guide”. Really a good read and with pictures to support the condition statement. Hello, time again to write and I hope you enjoy seeing this stamp I have chosen tonight. 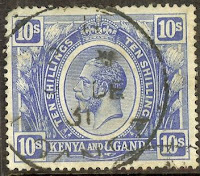 British East Africa makes a very interesting area for collecting. A few countries over the years, combining and splitting. I have lost track to be honest. I have to find a way to list them all in the cddstamps store. 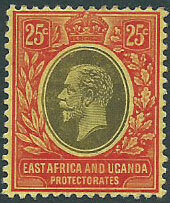 that will be a challenge, The wording for just Kenya Uganda and Tanganyika will probably take up most of the characters allowed to described the stamp itself, let alone there are Protectorates as well. Anyway, this one I like because of the excellent colour. 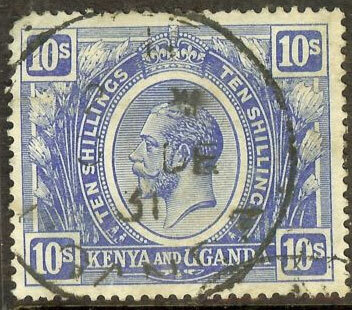 In fact I think many of the colours used on BEA stamps from about 1910 through late 1920's were rather special as they did have many shades that were not conventional or common across other British Commonwealth countries. Or so it seems to me. Anyway, I have a few more stamps to show. These will be sent to the winner of my November quiz. An early Christmas present perhaps if you know the answer to the following question and you send me the answer WITH YOUR MAILING ADDRESS please to cddstamps@gmail.com. I seriously do not keep all the mail I receive so cannot guarantee I have your address if you have written to me before. Two part question really: The British East Africa area had been part of what area since what year? So easy. Or just enjoy reading and remembering your school geography perhaps! Hope you enjoy seeing it as much as I did when I received it. Hello, hope you all had a lovely weekend. I did. Lots of time to work with my stock and get more loaded to the Bidstart / Stanley Gibbons Marketplace Store. Hoe you enjoy seeing these two stamps. Anyone tell me the difference? Look closely and you should be able to tell. Perhaps a boring pet interest of mine on many of these early British Commonwealth stamps. But nice to have both in your collection I think, assuming you know there are two varieties. I will tell you more tomorrow.